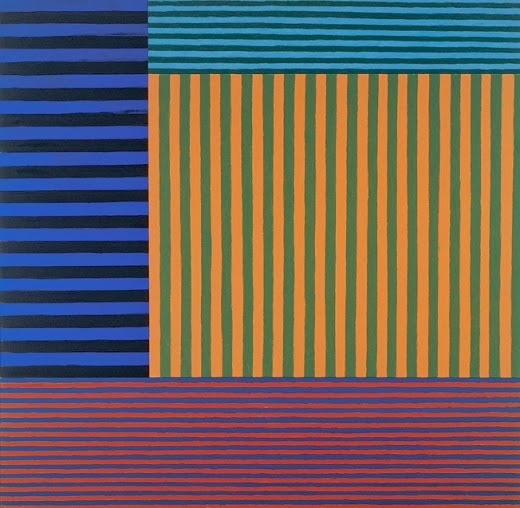 Stripes have had complex and sometimes contradictory meanings throughout Western history — think the American flag vs. prison uniforms — but in modern visual arts, stripes are less complicated. 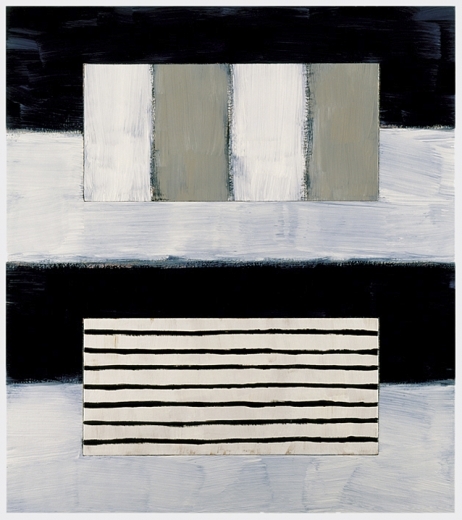 They’re all about rhythm, division and unity, as evidenced by their use on canvas, installations, and even warships. Stripes are powerful because they unite and divide in equal measure. 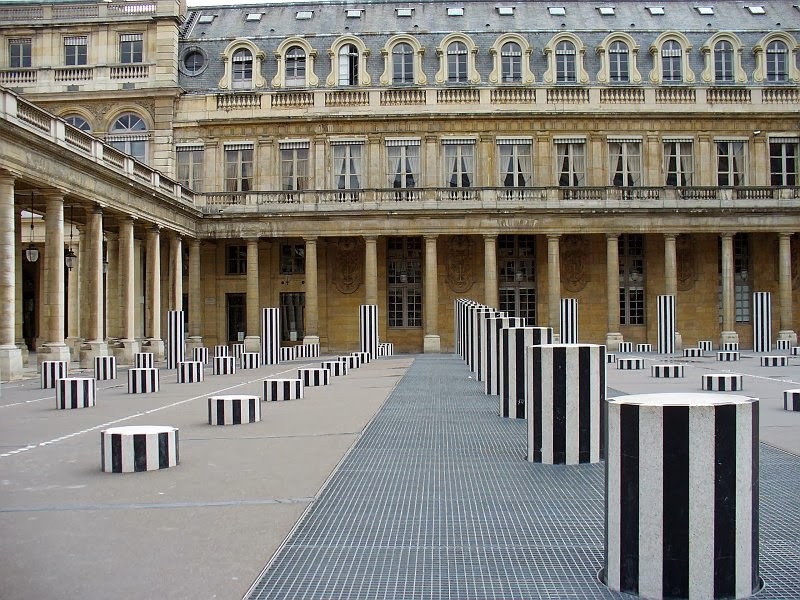 They unite through repetition, while forming boundaries that sharply divide planes and colors at the same time. In the process, they create rhythm like no other pattern. 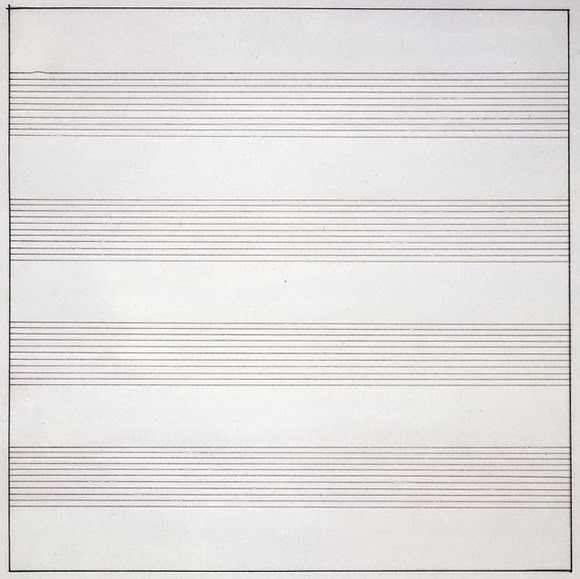 Moving from the slight irregularity of the first line to the perfect order of the following ones, Agnes Martin manages to create a sense of calm and quiet that is found in every one of her minimalist works. 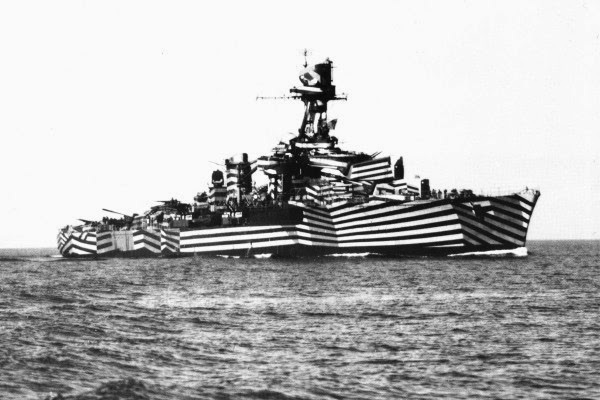 On a bolder note, stripes were used during World War I to make large ships more difficult to track by creating confusion about their size and the direction they were going. 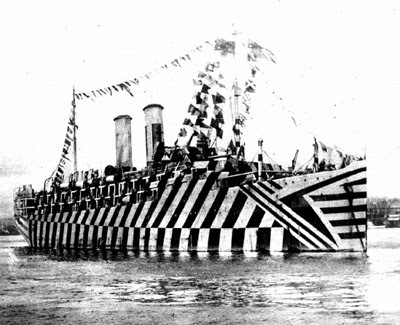 The patterns were so bold and confusing that they became known as Razzle Dazzle Camouflage. Loud and bold or calm and quiet, stripes can create almost any rhythm. That’s their power in the visual arts.